When it comes to the news lately, it’s been a real bummer summer, man. Extreme weather events, real reactionaries running around here in America and the world (parts, anyway), a deadly Ebola outbreak in Africa, even some nihilistic reports suggesting that the whole durned human comedy may be facing extinction. And now comes the sad, bummer news about Robin Williams. 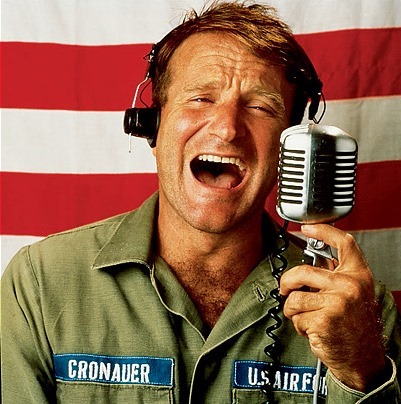 Let me say here that I am, on a personal level, a really enormous fan of Mr. Williams, who began his career as a true shining light burning bright during the Golden Age of Comedy in the ‘70s, during which I came of age. It was an era defined by genuine comedic genius. Richard Pryor and George Carlin were already established comic legends. The original cast of Saturday Night Live was radically redefining the boundaries of late-night TV comedy. Classic, prime-time sitcoms like All in the Family, MASH, Mary Tyler Moore, and Taxi (along with off-the-beaten-path hits like Mary Hartman, Mary Hartman and Martin Mull’s Fernwood Tonight) were tapping unexplored, sometimes even taboo topics in hilarious ways. Mel Brooks’ Blazing Saddles lambasted racism and just about any other –ism you can think of. National Lampoon unleashed its Animal House. Andy Kaufman’s edgy stand-up and performance art pushed mainstream tastes in humor way outside their comfort zones. Steve Martin offered a wild-n-crazy respite to a nation still reeling from Vietnam and Watergate. Cheech and Chong’s cannabis-laden comedy handed America a humorous J that helped to make our problems momentarily go up in smoke. In the late ‘70s, he fit right in there as the comic force of his time and place…a roiling, raucous, and riotous amalgam of all these other humorous sensibilities and then some. He blazed onto the scene “fizzing with divine madness,” as Russell Brand puts it, lighting the world with a dazzling comedic blaze that pushed back the darkness of a world gone crazy with gales of laughter from his audiences. Unfortunately, his Roman-candle talent also apparently burned so brightly it made the shadows of his personal life all the more filled with darkness. 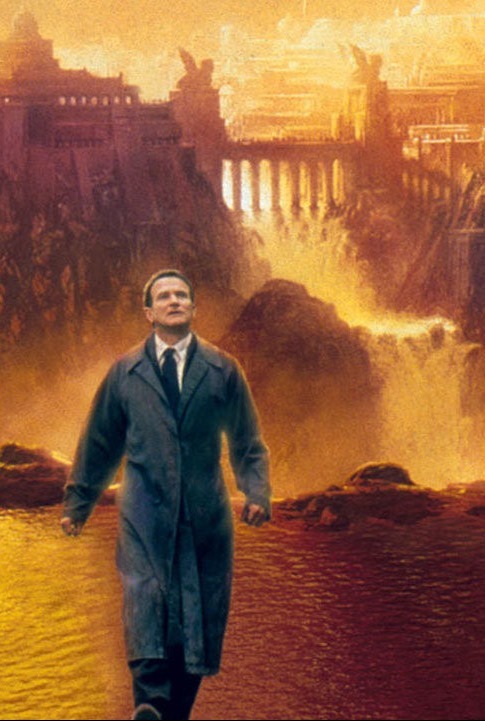 But I am going to thank Robin Williams here for all the laughs he gave to all of us during his journey across the sands of time. 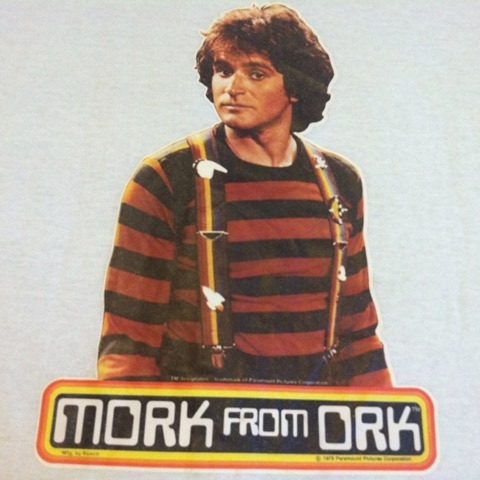 From Mork and Mindy to his unbridled stand-up and various movie roles to his charity concerts and USO tours abroad, he sure did make us laugh (and think and sometimes even cry) to beat the band. Humor is the great thing, the saving thing after all. The minute it crops up, all our hardnesses yield, all our irritations, and resentments flit away, and a sunny spirit takes their place. At its best, such humor and the liberating laughter it elicits can puncture our pretenses, release some of the hot air from our puffed-up egos and sense of self-importance, and bring us down to a more human and humane level of existence. 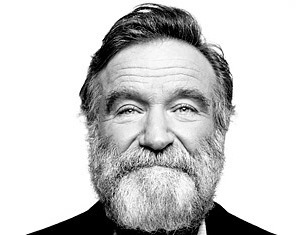 Throughout Robin’s incredible career, despite its ups and downs and the occasional gutter ball he threw, that humanistic humor at the heart of his comedy helped us to abide in that basic humanity for a while. And for that, we are much obliged. 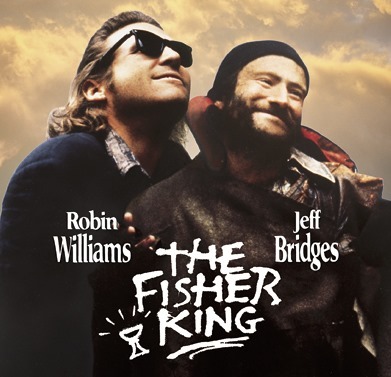 That may help us to understand why Robin was so damn funny during his time here in this sorrowful place so far from heaven. I don’t know if heaven exists, but here’s hoping it does and that Robin is finally embraced in the blissful bosom of its pacific joy. Good night, indeed, sweet prince. Brilliant talent, superb intellect and a creative mind do not always go together with personal, internal emotional insight. In fact, having to keep up a public persona, different from the inner emotional world, frequently reinforces emotional difficulties in highly talented people, leading to inner conflicts that can feel desperately unresolvable to the person involved, no matter how great and groovy their lives appear to observers. We would do well to try to understand and remember this. RW was a fantastic comedian and a genuinely superb actor: ‘One Hour Photo’, for instance, is a powerful film about a man who could not fit right in there, a man ‘on the outside’ longing to be part of ordinary life. I kind of grew up with him – from a great distance – …we’re a similar age… and admired him enormously. He is greatly missed.